Summer heat is a way of life in our part of the world, which is why your home’s air conditioning system is so important. Without it, your home would be supremely uncomfortable and the heat might even pose a health hazard to sensitive family members. 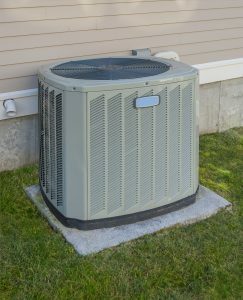 Running the air conditioning this time of year is as necessary as keeping the lights on and the plumbing working, and you’re going to need to pay higher monthly bills for the increased use of the system almost by default. But just because you’re paying more every summer doesn’t mean you should pay more than is necessary. few easy steps can help your air conditioner do its job much more efficiently and cut down on those high costs. Some steps you can take yourself, while others require the services of a trained technician. Thermostats are a staple of our households, and in most cases they can last for decades. We’ve become so used to seeing them that we hardly think of them except when we’re adjusting the temperature. Thermostats usually have few moving parts and with the exception of replacing the battery in certain models from time to time, they don’t require a lot of maintenance. It’s not unusual for thermostats to last for 20 years or more, and while you should always replace old mercury-based thermostats immediately (mercury is toxic), there’s no reason not to get as much mileage as you can out of your existing unit. In the endless battle to keep your home cool during our sweltering Covington, LA summers, it’s important not to forget about your thermostat as a key tool. It controls your whole system after all, and just like the old-fashioned, VCR, people often refrain from using it because they think it’s too complicated. But the more you educate yourself about the thermostat, the more you’ll see just how invaluable it is for keeping your cooling costs down, and if yours has been around for 10 years or more, you can replace it with an up-to-date model fairly inexpensively to help you handle high monthly cooling costs. Here’s a quick breakdown of some tips and techniques to help you. Your thermostat is one of the most important components in your heating and air conditioning system, and yet despite its common use, many people hold popular misconceptions about the device. Those misconceptions can actually end up costing you money if you’re not careful, and here in Hammond, LA, monthly energy bills are nothing to take lightly. We’ve assembled a list of common misconceptions about your thermostat that we’re hoping to dispel, and put a little money back in your pocket in the process. Your thermostat is designed to do its job without much fuss or bother, and because it doesn’t have a lot of moving parts, you can expect it to last for many years. But trouble can crop up when you least expect it, and your thermostat is no exception. When problems do arise, they can leave your Hammond, LA home without heating or air conditioning until it gets fixed. That’s why you should call in a trained technician the minute you spot signs of trouble with your thermostat. Here’s a short list of possible issues to help you make that determination. The small size and basic operation of a thermostat often deceives homeowners into thinking they are less important to their heating than they actually are. The thermostat is not only a control center that gives you access to how your heater and air conditioner operate, it also measures the heat in your home (usually through a device called a thermistor, although older models use mercury sensors) to gauge when to turn the HVAC systems and theirs fans on and off. You need to take care of your thermostat so you have the best climate control possible in your home. For heating repair service in Matairie, LA, call A–Professional Heating and Air Conditioning any time of the day or night. Is the thermostat often in direct sunlight? The radiant heat from direct sunlight can raise the temperature of an object many degrees above room temperature. If your thermostat is in a position where sunlight from a window falls across it for long stretches, it will record temperatures higher than it should (“phantom readings”), which will lead to it either shutting off the heater prematurely or running the AC for too long. Is the thermostat near drafts? A thermostat that is adjacent to windows that are often open, or near to a door that opens to the outside, drafts of colder air will affect its readings and lead to inaccurate temperatures from the HVAC system. Is the thermostat too far from the center of the house? With a central heater and AC, it’s important for the thermostat to sense the average temperature of a home to provide accurate information to the HVAC system. The farther from the center of the house the thermostat is located, the more anomalous temperatures it will record. This will turn into a vicious cycle, since the heater and AC will run inaccurately, leading to the thermostat recording further erroneous readings. If you answer “yes” to any of the above, you should call professionals to move the thermostat to a better position. The wall outside the master bedroom is often one of the ideal spots. A–Professional Heating and Air Conditioning can handle the heating repair in Metairie, LA that will take care of any thermostat problems you have, as well as any malfunctions in your HVAC system. We aim for complete customer satisfaction in all our work.